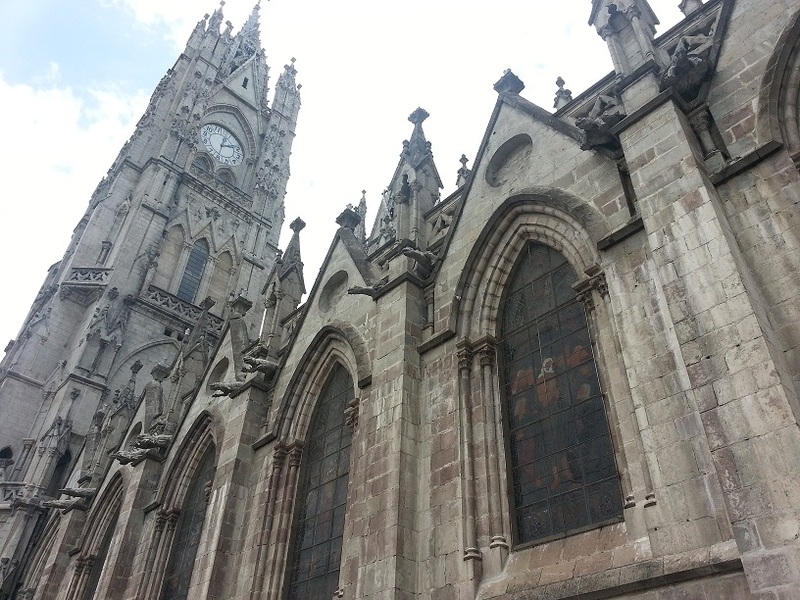 We spent the day wandering around Quito, including the ‘new’ and ‘historic’ districts. It was a little grey and overcast until 2pm when – like clockwork – it started to pour with rain! Luckily we’d sought refuge in a café just prior to the onslaught so we hung out there and read our books for a while until the heaviest of the rain was over. There are some lovely big squares in Quito, and massive churches and cathedrals from a range of different styles including gothic. As it was a Saturday, there were lots of locals walking about everywhere doing their regular weekend things… so it was great people watching and just seeing what Ecuadorians do in the city on a weekend. This entry was posted in Ecuador. Bookmark the permalink. ← Dirtbiking in Ecuador – and crossing the equator!